DEREK MARTIN looks pretty good for a dead man. 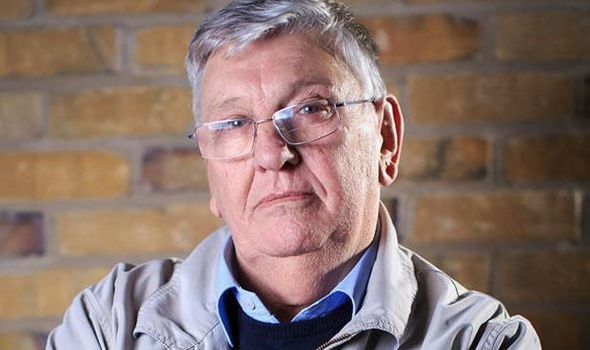 His EastEnders character Charlie Slater was killed off three years ago, but Derek couldn’t forget him if he wanted to. In a three-minute stroll to the central London pub where we meet, the actor is regaled with beeping taxi horns and cheerful cries of “Oi Charlie, ‘ow’s Kat?” But it was his earlier career that damaged him in real life, leaving Derek with two titanium knees.